Wrack Auto is an approved supplier and installer for Drivetech 4×4, so you can drive away confident of great performance out in the wild. Call us on 09 438 1980 for advice, supply, and installation. Quality matters! When you’re out on the track you want quality parts so you can go the distance. 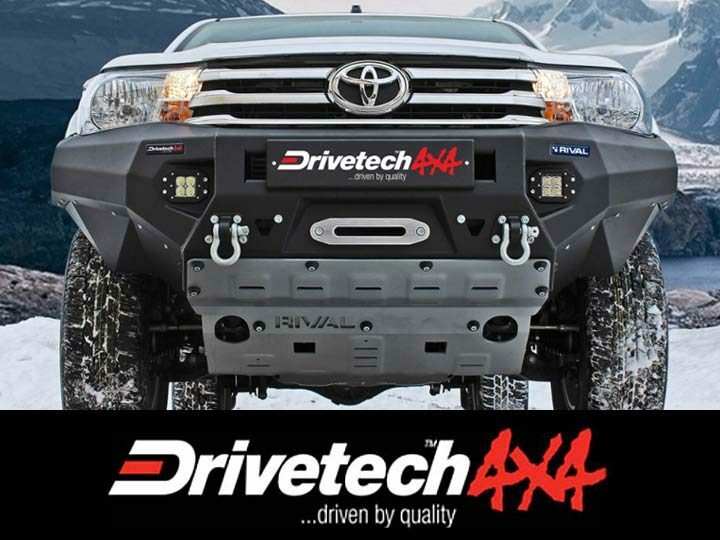 Drivetech 4×4 products have your equipment needs covered using high quality components without breaking the budget. The team at Drivetech 4×4 are all four wheel drive enthusiasts who understand the market, and are continually seeking to re-engineer parts for better performance or introduce innovative products like Drivetech SumoSprings – the original load assist ‘airless airbag’ suspension system, designed and engineered to meet market demand for suspension support that requires zero maintenance. All accessories are backed by a warranty.